Approximately 3 years before my deployment to An Thoi, Vietnam as a USS Krishna crew member, General William Westmoreland, Commander of the Military Assistance Command in Saigon, requested shallow-water craft to supplement the newly formed Coastal Surveillance Force. Their assignment; curtail the flow of North Vietnamese troops and supplies to the south along canals and rivers. Prior to the arrival of Swift Boats, the Viet Cong had unbounded access to those routes and the coastline. The Navy had tested a number of craft, among them were an 82 foot Cutter utilized by the Coast Guard and a 55 knot air cushion boat to provide the specific needs of combatting that type of warfare before selecting a craft built by Sewart Seacraft, a Louisiana based manufacturer. The 50 foot boats were used to bring workers to offshore oil rigs in the Gulf of Mexico. After construction of the Navy version the boats were shipped to the Philippines then transported to An Thoi and Da Nang. Those locations had been established as the most critical to the requirements the craft could deliver. 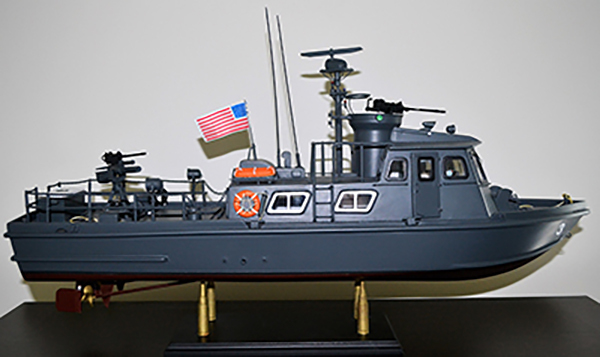 Swift Boats used a quarter inch thick aluminum hull and were powered by two 480 horsepower Detroit Diesel engines. They had two 50 caliber machine guns above the pilot house and a single 50 caliber over an 81 millimeter mortar aft. The electrical system had two 24 volt battery banks that utilized separate alternators. The batteries provided primary power to start the engines, navigation lights, radar and general purpose lighting. Early Swift Boats had a 120 volt, 25 amp/ 3,000 watt Onan generator. It powered the radio, electrical outlets, galley equipment, freezer and refrigerator. Later boats had a 50 amp/6,000 watt generator. Portside batteries were for standby power while the starboard bank provided general boat power. The wiring configuration enabled both banks to be utilized in parallel to maintain the operation of essential systems. Swift Boats quickly established themselves as the perfect craft for the combat underway along the canals, rivers and coastline. During Operation Market Time they maintained a 24/7 schedule and interacted with ‘Junks’, Vietnamese fishing vessels. Consequently, keeping Swift Boats operational was critical to the new Brown Water Navy. As a maintenance and repair electrician aboard the Krishna, that’s what I did. As a certificate that made me an honorary Swift Boat crew member that Swift Boat Sailors Association member Dave Bradley gave me states, “Thanks for fixin’ ‘em when we broke ‘em”. Dave, to a man, on the Krishna, we were more than willing to lend a hand to crews that were exceptional. In retrospect, I recall morale on the Krishna was never a problem. Most of the Junks Swift Boats encountered were operated by legitimate fisherman. That gave the Swift Boat sailors the opportunity to engage in good-will gestures. Cigarettes and candy were often given to those whose Junks being inspected for contraband. Swift Boats were also instrumental in providing mobility for reconnaissance teams, support for special ops teams’, evacuation of the wounded and engaging in amphibious assaults. As the Officer in Charge of Patrol Craft Fast 67 and Swift Boat Sailors Association member Virg Erwin noted in his award winning book Cat Lo: A Memoir of Invincible Youth Swift Boats also were instrumental in providing humanitarian assistance. Virg is among a number of published authors in the Swift Boat Sailors Association. From their initial deployment to Vietnam until the end of the war approximately 3,500 sailors served as Swift Boat crew members or provided maintenance and repairs. Swift Boats were manned by crews that had to adapt to a new facet of military service. In spite of the hazards, about 80 percent of Swift Boat crew members were volunteers. They used 5 Seabees built Coastal Surveillance Centers to synchronize their patrols. Surveillance of 1,500 miles of the coastline of South Vietnam was a part of Swift Boats long ‘to-do’ list and they accomplished that task in the same fashion as every other assignment that came their way; they met the challenge. General Westmoreland credited the Brown Water Navy for playing a crucial role in saving the Mekong Delta during the Tet Offensive. 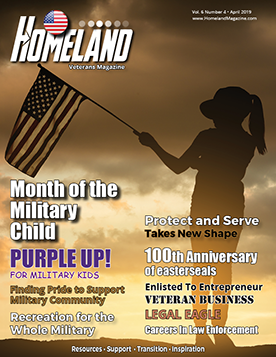 For decades after my 4 years of service I didn’t often look back at either my time in the military or, in particular, my service in Vietnam. That changed as I approached being 60 years old and in 2007 discovered the Swift Boat Sailors Association. It has turned out to be a great discovery. I would be proud to serve with any member of the organization. We have reunions ever-other year and the 2011 get together was in San Antonio, Texas. We’ll be there again for the 2019 reunion. During our last stop there we received some information that none of us expected to hear; a Swift Boat would be coming home to San Diego. In 1971, the U.S. Navy donated 2 Swift Boats to the nation of Malta. Those boats had been used for crew training at the Amphibious Base in Coronado. During their time in Malta they operated as coast guard vessels, rescued those fleeing North Africa and enforced fishing rights. In 2010, those boats were retired. Malta’s Minister of Defense, Vanessa Frazier donated one of them to the Maritime Museum of San Diego. The Marine Group Boat Works in Chula Vista, CA was the site for an extensive renovation under the supervision of the museum and many hours of volunteer work by S.B.S.A. members. Given what was involved, that group had ‘The Dirty Boat Guys’ as their very appropriate nickname. What a crew. Both engines were replaced and needed about a week of preparation. They went from being, let’s say a dirty-white to Alpine green, their original color. Patrol Craft Fast 816 is available for tours at the Maritime Museum of San Diego and that was an opportunity my wife Cathy and I took part in shortly after the boat received Coast Guard certification. It was my first time on an underway Swift Boat (there is one on static display in Coronado) and it was a memory that will last a lifetime. As mentioned, the Swift Boat Sailors Association comprises a world class crew. Bob Bolger is among the first members I met when we were on the 2007 S.B.S.A. reunion committee. Bob has an interesting background. He graduated from the United Sates Naval Academy, class of 1964. In 1961 he was selected to march in President Kennedy’s inaugural parade and the 1963 funeral parade. Bob served from 1964 to 1984. For his first 2 years he was the Gunnery Assistant, Anti Submarine Officer and Navigator aboard the USS Leahy (DLG 16) homeported in Charleston, South Carolina. Next stop, Vietnam. From October 1966 to November of 1967 he was the Officer in Charge of P.C.F. 99. As a member of Coastal Division 12, Da Nang was his homeport. P.C.F 99 was frequently deployed to Chu Lai. While there Bob and his crew had the opportunity to play touch football with now National Football League Hall of Fame member Roger Staubach. Bob was the USS Blue (DD 744) Weapons Officer from 1968 to 1970 followed by time as a student and NROTC Staff at Rensselaer Polytechnic Institute from 1970 to 1973. During that time he was selected by the Chief of Naval Operations as the top NROTC Instructor in the country. Bob’s post military years have been filled with a wide variety of activities that involve ‘lending a hand’. He has served on the The Vietnam Unit Memorial Monument Board of Directors and as a volunteer and produced the Memorial Day 2011 Veteran Salute. For the 2017 S.B.S.A. reunion he produced the Memorial Ceremony at the V.U.M.M. On a personal note I can say it was flawlessly accomplished and honored those ‘Still on Patrol’; Swift Boat Sailors that gave their all in Vietnam. Bob’s wife Val made a wreath for the event. He serves as one of the narrators on P.C.F. 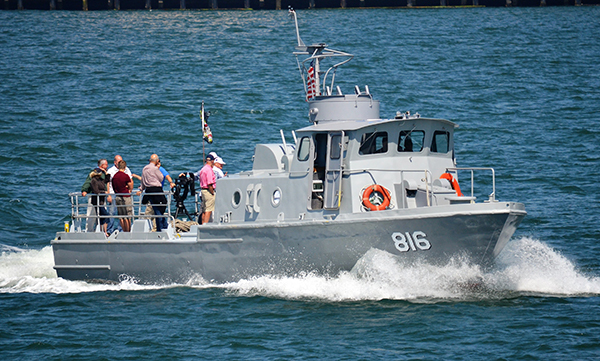 816 during tours on San Diego Bay. I have had the pleasure of knowing Bob for 11 years and still wonder how many hours he has in his day. It can’t be 24; that doesn’t pencil out. Hand salute to a great shipmate. Cathy and I are grateful our path has crossed the one you and Val travel.